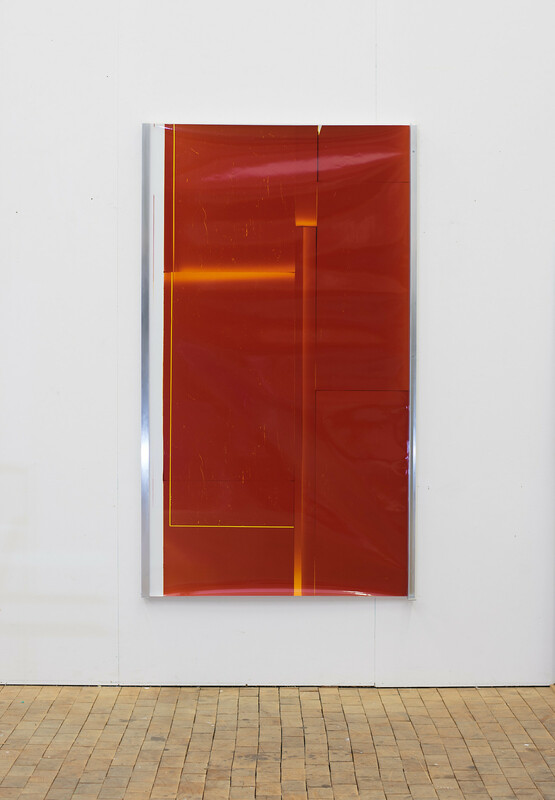 Manuel Burgener is concerned with the exhibition space and how his works relate to one another, he further explores this theme by enquiring on an idea of primal colors. The unique photogram works become sculptures through their display; hanging on the wall and furthered by the fact that the glass is indented on one side and almost coming out on the other, thus creating a double perspective. The disturbance of this effect is expanded by the reflections of the lights and the viewer within the glass, almost endlessly.